For more than 160 years, the YMCA has nurtured potential and united communities across America to create lasting, meaningful change. Everything the Y does is in service of building a better us. One of the most effective ways to accomplish this is to teach youth, teens, and adults to swim, so they can stay safe around water and learn the skills they need to make swimming a lifelong pursuit for staying healthy. Our Y swim instructors are nationally certified. Their training includes CPR, AED, First Aid and Oxygen Administration. Swim lessons provide important life skills that could save a life and will benefit students for a lifetime. All ages - from infants to seniors - can learn to swim at the Y. What age group does the student fall into? What swim stage is the student ready for? The specific days and times of our classes can be found when you register on-line or by reviewing our Program Guide. Have questions? Call the Y or speak with anyone in our Aquatics Department or on our Member Services Team. Answer the questions below to find the swim lesson that fits. Free swim lesson assessments are available to determine the appropriate swim lesson stage for each student. Students who took lessons under the previous Y swim lesson structure (with level names like Pike, Ray, Eel) can easily transition to the new curriculum. Discuss what level is appropriate with anyone in our Aquatics Department, or register for the Stage that is most appropriate for the swimmer’s abilities and our trained staff will place students in the correct Stage during the first lesson. During May, we will be offering Safety Around Water, a free program designed to engage and educate families about the importance of water safety skills. Through the Safety Around Water program, parents and caregivers will be encouraged to help their children learn fundamental water safety and swimming skills. During the course, child will learn how to respond if they find themselves in unexpected water situations – – from how to reach the water’s surface if they submerge to safely reaching a pool’s edge or exiting any body of water. For detailed program information, please contact our Aquatics Department or Member Service Team. Class times and locations vary by program and Y Branch. 8 and Under (6 – 8 Year Olds) – Introduces our youngest Torpedoes to the 4 competitive strokes (backstroke, butterfly, breaststroke and freestyle), starts, turns and most importantly ENJOYMENT through swimming. Swimmers are also introduced to competition through USA Swimming and YMCA Swimming with the goal that all swimmers will enjoy the experience and look forward to more. Attendance: Minimum 1 practice per week, meets optional. Age Group (9 – 12 Year Olds) – Swimmers build upon the fundamentals of the 4 competitive strokes and work to increase their overall swimming ability confidence. Swimmers are encouraged to swim outside of their comfort strokes and to work towards new and exciting opportunities in practice and competition. Attendance: Minimum 2 practices per week, meets encouraged. Senior (13 and Older) – Senior swimmers are expected to take ownership of their swimming and are taught the necessary skills to be successful in the pool and in life. Swimmers work closely with coaches on setting individual goals and working to achieve their goals. Attendance: 3-4 practices per week, all meets encouraged. A collaborative effort between the Bridgeport and Stratford Ys, our team offers a stimulating, enjoyable program that stresses stroke technique, endurance, sportsmanship, goal-setting and leadership. We strive to do all this in an environment that embraces the YMCA’s philosophy of building spirit, mind and body for all. We believe these qualities serve our swimmers well in the pool, but also in the classroom and in life. Our adult swim lessons are for individuals 13 years of age and up. The YMCA Adult Lesson plan offers an introduction to the water for those seeking to learn how to swim. The goal of these lessons is to make the adults competent, confident, and successful swimmers. One-on-one swim or two-on-one lessons with a trained swim instructor. Each 30-minute session is scheduled between the instructor and the participant. Join the Stratford YMCA Water Volleyball Group. Come in and fulfill your weekly need for fun and exercise. Monday, Wednesday, Friday, 1:00-3:00 p.m. The Stratford YMCA’s synchronized swimming club invites other Y swimmers to learn the sport of synchronized swimming. It is a great combination of sport and art. Participants must be at least 18 years of age. Benefits include: physical fitness, creative swimming, and a welcoming group atmosphere. If you are comfortable in the water and want to join a fun group, this is the group for you! All equipment is provided…just bring your bathing suit and towel. For more information, please contact James Saulnier P 203-426-8824 or E js@alumni.cmu.edu. Swimmers are encouraged to contribute to an atmosphere of cooperation and courtesy. Always enter from the shallow end. A maximum of five swimmers are permitted in each lane during lap swimming. Please swim with others of similar speed. 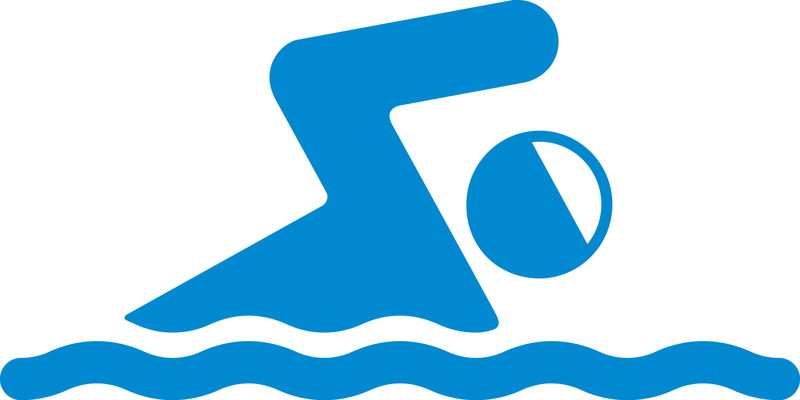 Lifeguards will move swimmers to the appropriate lane when necessary. Always let swimmers in your lane know when you are entering the water. Always circle swim counter-clockwise when three or more swimmers are in a lane. Fins and/or kickboards are not permitted during circle swim. Allow faster swimmers to pass. Passing always occurs on the left of the swimmer or at the end walls. Do not stand at the ends of the pool for an extended period of time. Teens age fourteen and older may participate in lap swimming. Our lifeguards are on the pool deck to ensure your safety and have the authority to restrict any behavior deemed unsafe. Y members and guests must follow all safety guidelines or may be asked to leave the pool area. State Health Codes require all persons to shower with warm water and soap before entering pool. Wear appropriate swimming attire in the water at all times. T-shirts, shorts, cut-offs and street clothing are considered not appropriate. A parent/guardian, at least 18 years of age, must accompany any child five and under in the water at all times. Parents/guardians of children under age eight who have passed the swim test must remain on the pool deck. All swimmers age 8 or older who have passed the swim test may use the pool on their own. Any non-swimmer must have an adult in the water within arm’s reach. Children who are not potty trained should wear two layers of accident protection, a waterproof swim diaper and a bathing suit, at all times while swimming or playing. For privacy and sanitary reasons, please refrain from changing children on the pool deck. If you have a communicable or infectious disease or an open sore, please do not enter the pool area. For everyone’s safety, the pool will be closed during lightning and thunderstorms and will not reopen until thirty minutes after the last occurrence of either. Walk, do not run, to avoid injury. Pushing, dunking and rough play are not permitted. For your safety, diving is only permitted in water at least nine feet in depth. Do not perform back-flips, back-dives, twists or any other type of flip that may cause injury to yourself or others. Extended breath holding activities may cause blackouts and are strictly prohibited. United States Coast Guard approved Personal Flotation Devices can be used in the shallow end of the pool. They should be properly sized and in good condition. Persons wearing the device must have an adult in the water within arm’s reach while in the pool. YMCA equipment is for Y programs only. Starting and diving blocks are not for public use. Inflatable pool toys and flotation devices are not permitted. Glass containers, food, and gum are not allowed on the pool deck. Please do not sit, play, hang or lie on the lane lines. To swim in the deep end, all swimmers must complete the swim test including an unassisted, 25-yard non-stop swim and a 30 second tread which will be recorded in our log. The lifeguard may administer a swim test at any time. Stop, look and listen when you hear the lifeguard’s whistle blow. Have fun, be safe and keep your language and behavior family friendly.